HAPPY ENDING: Home, Safe n’ Sound!! Yeah!! ”I’m happy to tell you that this girls’ (Marley) family has been located! Funny twist is that her family (who lives right in the area) didn’t know she was touring around during the day. While an entire neighbourhood was holding onto her and looking out for her well being, she was taking off and making sure she was home before her family got home at suppertime…. :) They were extremely surprised to hear about her adventures and how many people were trying to help her get back where she belonged! Additional Info: This sweetie was originally found, but escaped and has not been seen since. We are hoping she made it back home. 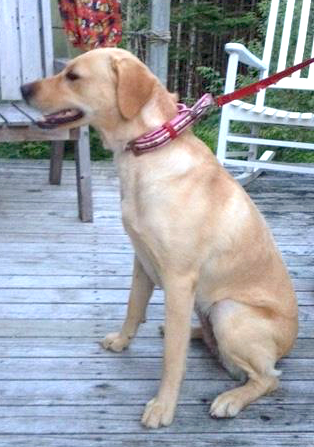 I’m happy to tell you that this girls’ (Marley) family has been located! Funny twist is that her family (who lives right in the area) didn’t know she was touring around during the day 🙂 While an entire neighbourhood was holding onto her and looking out for her well being, she was taking off and making sure she was home before her family got home at suppertime…. :) They were extremely surprised to hear about her adventures and how many people were trying to help her get back where she belonged!